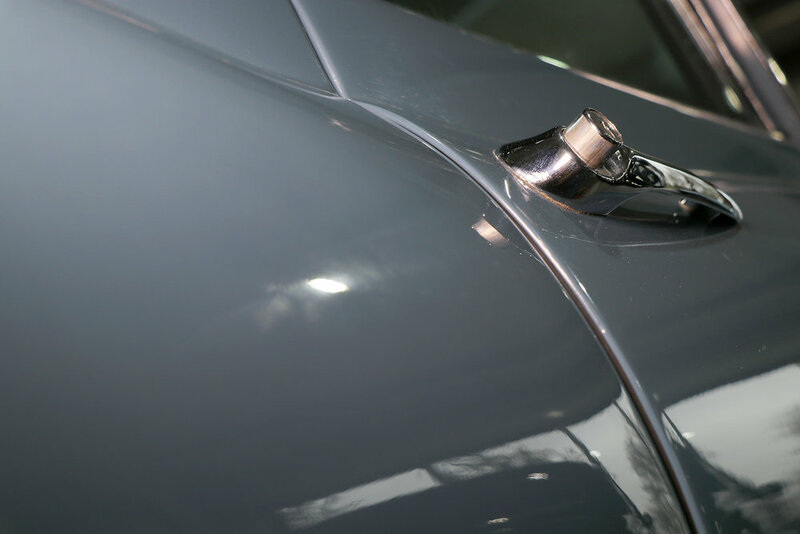 An exceptional example of an ‘all matching numbers’ Series 1 fixed head coupe. 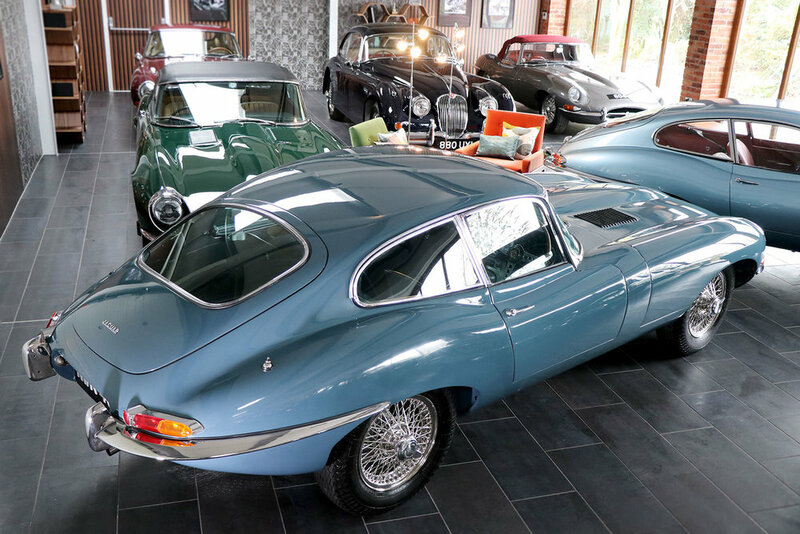 Finished in Cotswold blue, with blue hide interior piped in grey; this is believed to be one of only a handful of vehicles finished in this stunning colour. 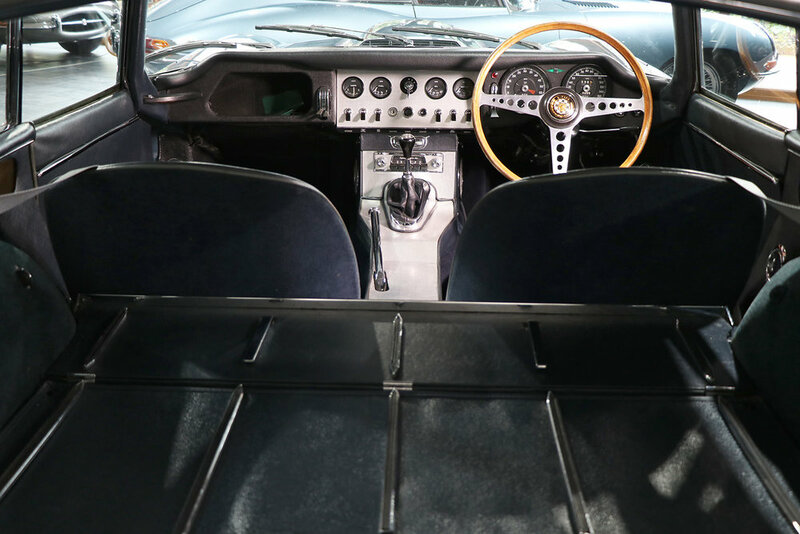 Originally from California, the vehicle was converted to right hand drive in the 1990s. 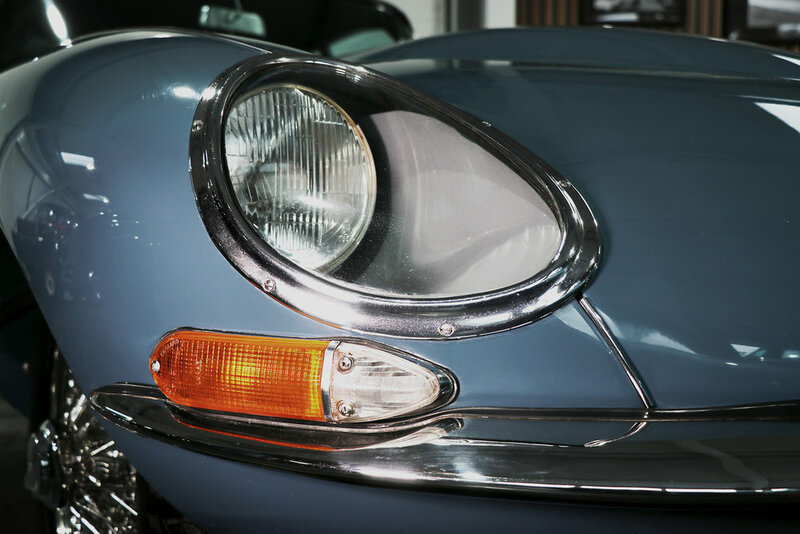 The condition of this E Type can only be described as ‘A1’ both cosmetically and mechanically. Now fully inspected and ‘Sayer-approved,’ the vehicle is ready for use. With only one UK owner, the car is showing 19000 miles and drives superbly. We are currently in the process of compiling service records and history.